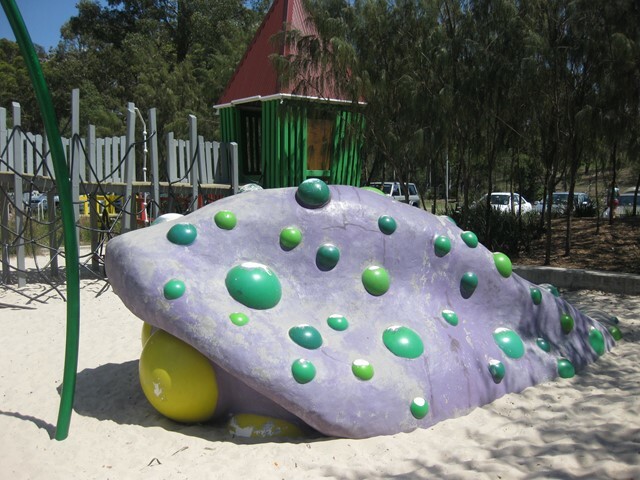 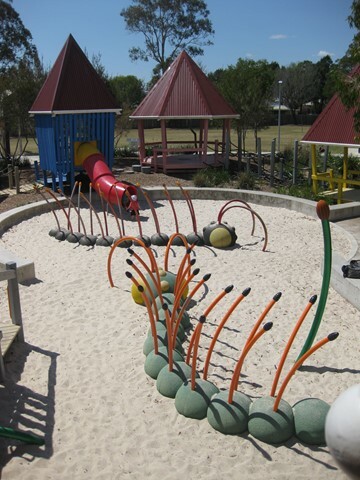 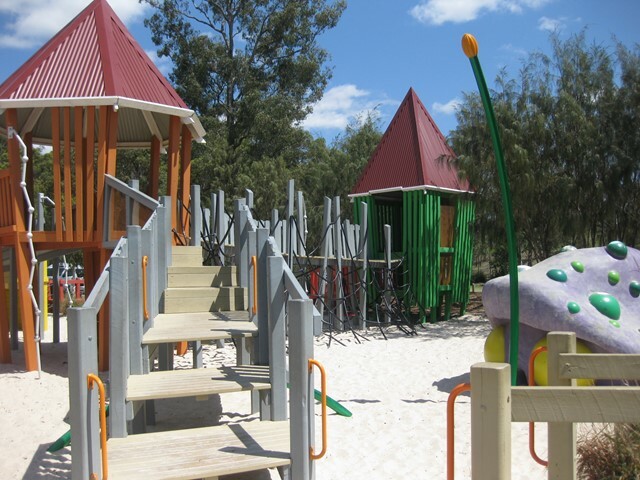 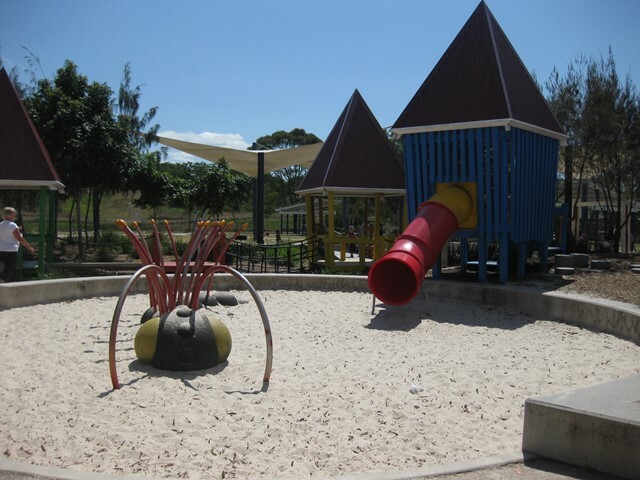 Tucked away in a corner of the Bill Brown Sports Reserve, Fitzgibbon, is the Hidden World of Methane Monsters - an imaginative and colourful playground featuring climbable creatures like sandworms and colourful huts to explore. 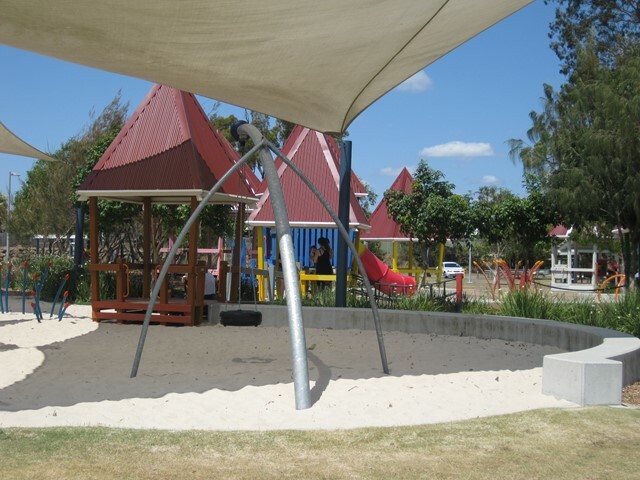 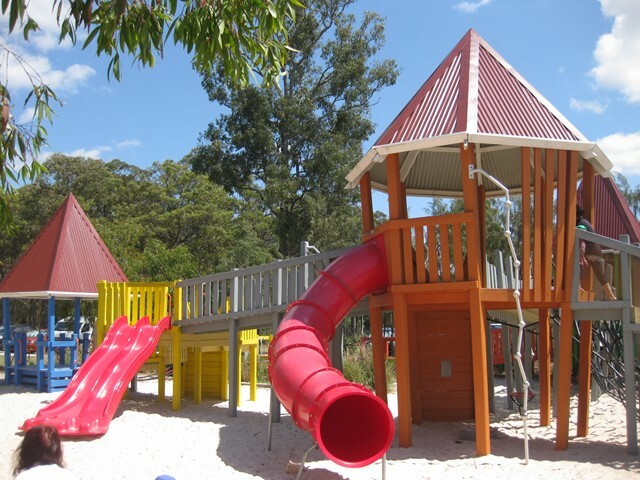 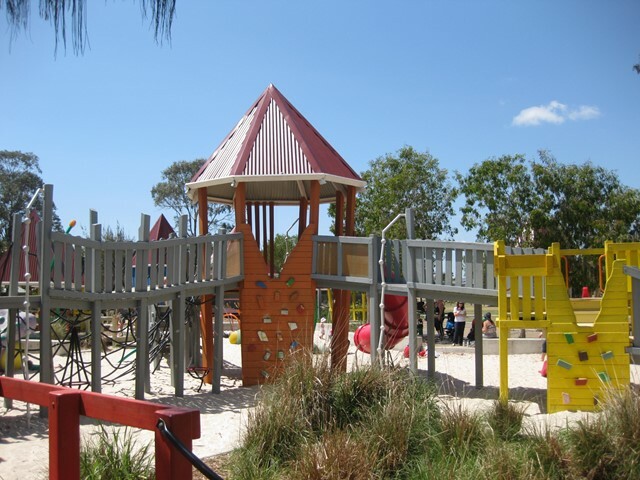 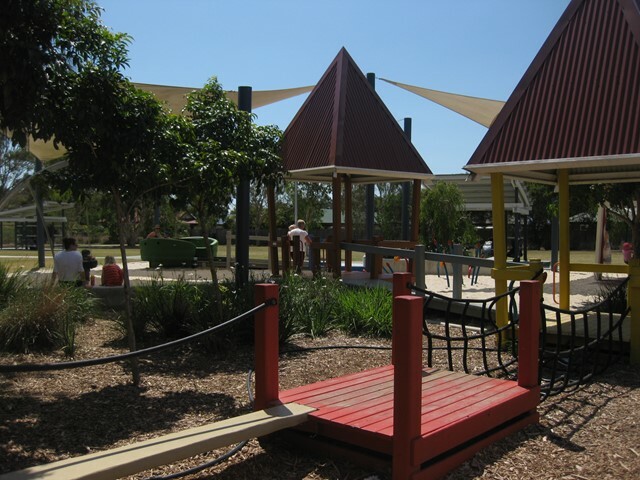 Playground features a number of huts with interconnecting wooden bridges, various climbable sand creatures, rock-climbing walls, slides, wobbly bridges, a tyre swing, boat ride and plenty of sand if you want to bring a bucket and spade. 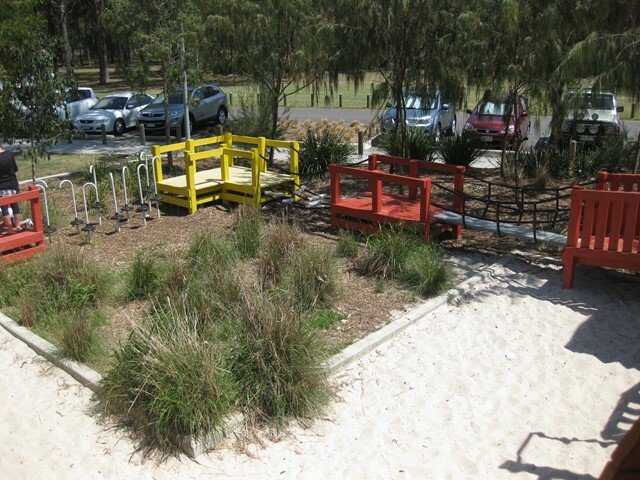 A short path runs the perimeter of the park and is ideal for young riders or those on scooters. 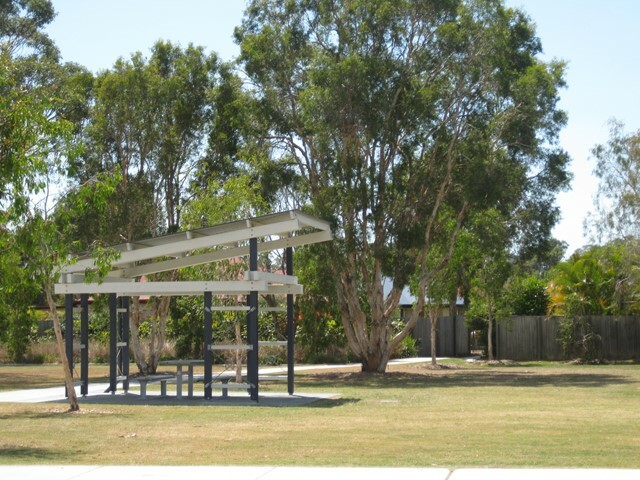 There are also picnic shelters, BBQs and toilets available.